How Is This Recovery Shot Going To End? Jacques Kruyswijk’s attempted recovery shot ends in tears. It’s always the most hilarious thing when another guy gets hit in the plums! 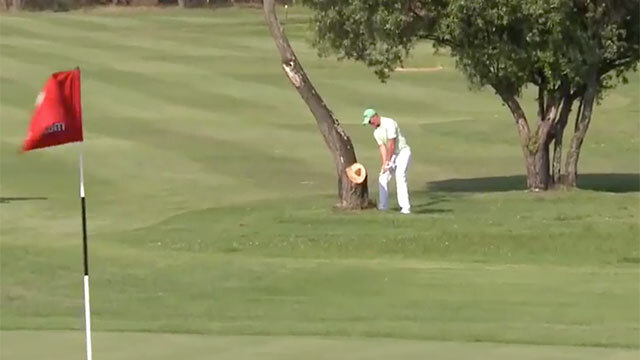 Unfortunately it was Sunshine Tour Player, Jacques Kruyswijk that was the unsuspecting recipient of this hideous blow. With a difficult recovery shot behind a tree confronting him he decided to take it on, clearly not considering the consequences.